I may go if I am free. There are imported and local chocolate. 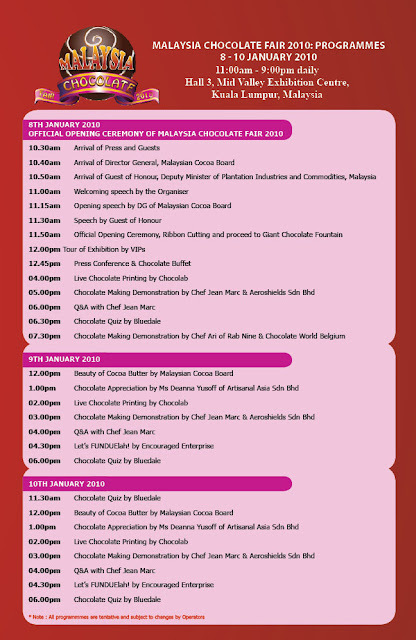 There are also many activities such as quizzes, chocolate buffet and chocolate making demonstration. Please refer to the programme attached above or click here for more information. wow..too bad I can't eat chocolate.. will get migraine if eat..